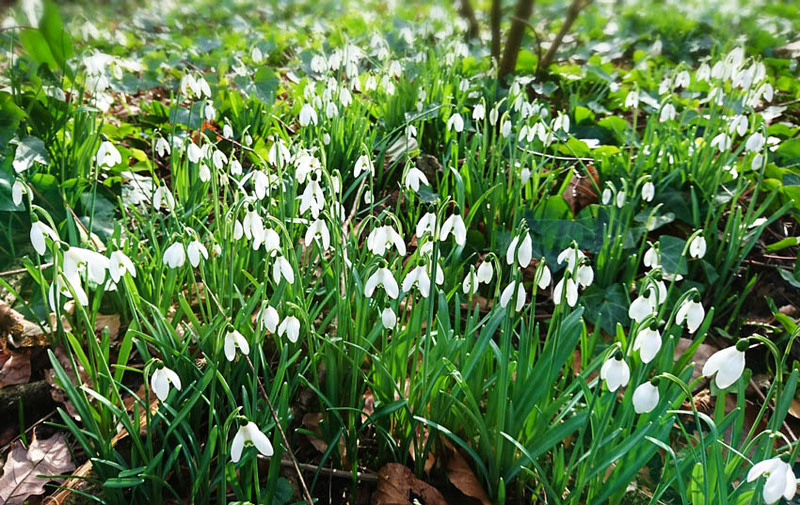 The British snow drop flower is a sure sign that spring is on its’ way. I like to consider snow drops as a spring flower, a bit optimistic as they begin to bloom in the middle of winter, the very cold January. Here on the Isle of Wight we have just waved goodbye to snow (fingers crossed). And now I am looking forward to the start of the most beautiful season of the year, spring time. The snow drop marks the beginning of new life that slowly starts to come back to the woodland and forests. In the mean time I am waiting patiently for the blooms to come.